Video on Demand platforms have opened up a plethora of choices for viewers. Viewers no longer find themselves dependent upon what their cable network is broadcasting at a particular time. Channel surfing is replaced by informed decision making on VOD platform. Strong recommendation systems help show relevant content to users, thereby optimizing user experience. Because of this ability to offer a personalized user experience, Video on Demand Platforms retain a phenomenal ability to engage viewers and keep viewers on their platform. Netflix and Amazon Prime Video have both been aggressively building a vast content catalogue. It is imperative for these Ovfer-the-top (OTT) platforms to present just the right kind of content for different kinds of viewer preferences. Going back 10 years, Netflix was primarily identified as a DVD-by-mail business. The company had introduced its Video on Demand platform in January 2007 as a bonus for DVD subscribers. What began as a tentative step to build a slight advantage over competitors has now become the world’s biggest Video on Demand platform. In this period the company has consistenly worked to improve its technology stack and content catalogue. The company now has close to a 100 million subscribers, with the number only expected to grow. As internet connectivity across the world improves, demand for video streaming services will continue to grow. In North America Netflix contributes to over 35% of peak internet traffic. In India broadband connections have become the norm in urban areas, whereas mobile networks led by Reliance Jio are making an aggressive push to enable internet connectivity across the country. Compared to the costs of creating and distributing videos, revenues are not hard to attain. Setting up a video on demand platform is certainly one of the most attractive proposition for content creators and distributors. Video on demand means so much more than movies and TV shows. YouTube, which is the world’s biggest VOD platform, enables creators to share videos on niche subjects. Users create videos covering anything from video games, film and music discussion and vlogging to educational videos. To get started you only need to reach out to a small subsection of your potential audience base. Video content is 40 times more likely to be shared than other forms of content. This means that quality videos can generate an audience with minimal effort in marketing. You need to identify your niche, and offer top-quality content to ensure that your video on demand platform is a success. Videos are also heavily being used for marketing and for product videos. Four times as many users prefer to to watch a video about a product than read about it. Video is also revolutionizing E-Learning considerably. Instructors are using video to reach millions of people eager to learn. Massive Open Online Courses (MOOCs) such as EdX, Coursera and MIT OCW have made quality higher learning accessible to anybody with a good internet connection. You can setup your own video on demand platform, which would give you complete control over your video streaming application.You can directly communicate with your audience, and can interact with them help improve user experience, helping achieve a greater audience. 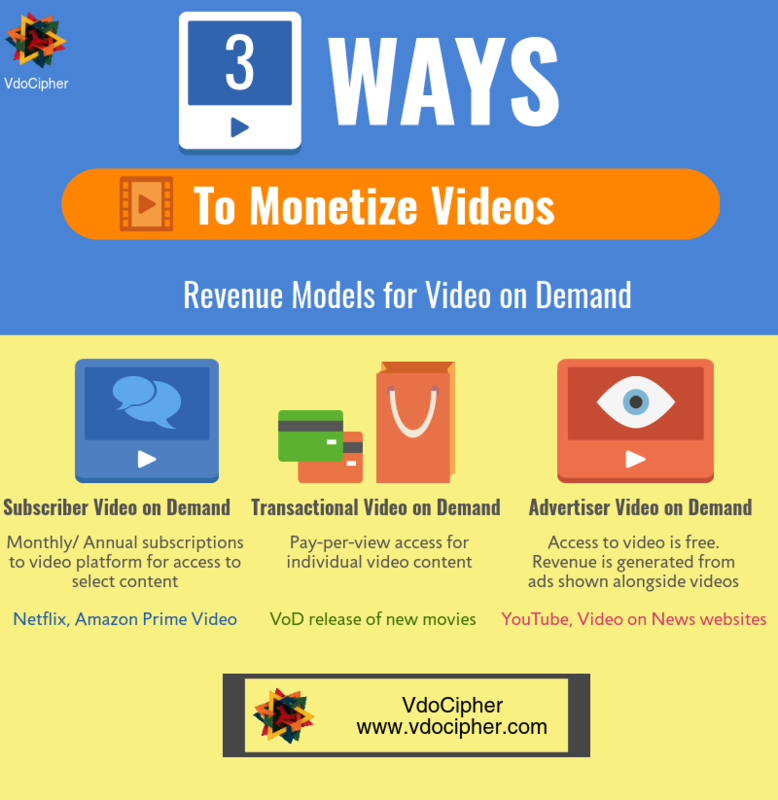 Setting up your own VOD platform, you can setup your monetization options, opting for either a subscription model or an advertising video on demand business model, as you see fit. You can make further customizations such as custom encoding to optimize bandwidth usage, and custom player skins to offer a customized viewer experience. It would also mean being no longer dependent on video aggregators like Vimeo and YouTube. YouTube for all its advantages offers limited monetization options. It does not leave the users much control over their content and their audience. Throughout playback viewers are completely free to switch to another video, meaning that meaningful engagement is hard to achieve. The entire process of conceptualizing, storyboarding, and video production is extremely time and resource-intensive. To regain the investment that goes into making videos you need to ensure effective monetization from content. Yet piracy presents a major challenge to monetization. Our statistical study shows that about 25% of the world population uses common video download tools to pirate content. VdoCipher’s large user base relies on our secure video streaming solution to ensure that their monetization opportunities are not affected due to piracy losses. VdoCipher video hosting solution provides the complete solution for video on demand platforms. Our full-stack Video DRM enables video content providers to secure their videos effectively, and set up their videos behind a paywall solution. In this blog we discuss why self-hosting is rarely a good idea. Find more details about how we integrate Widevine DRM for Hollywood-grade security, to provide the best protection for premium content. Using VdoCipher means that you can continue to focus on improving your website experience and your content catalogue, while resting assured that your viewers are getting a smooth video experience. Buffering is the reason a lot of users leave videos – a study revealed that even for videos of length greater than 30 minutes, a delay of 30 seconds can lead to more than 60% of users leaving the video. Viewers have little patience and high expectations when it comes to streaming videos. VdoCipher has developed expertise in delivering high quality videos in locations with spotty internet connectivity. Video playback through the VdoCipher player is smooth and seamless, and time taken for buffering is minimal. In this blog we discuss how to use VdoCipher to maximum effect to setup your video on demand platform. To learn more about how the VdoCipher feature set works out for different cases check out this blog on VdoCipher for business. Create an account on VdoCipher. You will be mailed your client secret key. 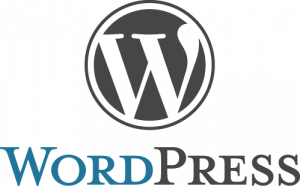 Install the VdoCipher wordpress plugin, and enter your client secret key. You are all set to embed VdoCipher videos to your website. Right-click on the video in the dashboard that you wish to embed to your website. Copy the video id to the shortcode format, replacing the 123456 in the shortcode below, and using a single parenthesis. Add the shortcode to the page in which you wish to embed the video. Its a simple two-step process to embedding your video. To add a dynamic watermark go to the settings panel of the VdoCipher plugin, and add the text that you wish to add to your WordPress website. More details are given in this blog. Multi-purpose – can be used for vlogging or for news websites. Whereas most video themes are designed to enable monetization from advertising video on demand model. PremiumPress’ Video Theme is designed to enable you to secure videos behind a membership plugin. This is free plugin that you can use to create your own newspaper-like or magazine-like website. You can use a combination of texts, images and videos for your site. You can manage user access rules using membership plugins. This includes partial protection of content on web pages to restrict content to only paid subscribers. Partial protection is implemented through shortcodes, and means that free subscribers/ non-subscribers can only see part of the page, while the remaining would be protected by a paywall. You can also protect entire sections and pages behind your paywall membership plugins. WP eMember and Membership Pro 2 are two of the most popular membership plugins. An important feature that WP eMember offers is to prevent simultaneous logins. This stops users from sharing passwords with other people. Another plugin. Create Video on Demand Platform with Joomla! Joomla! is one of the most popular PHP-based content management systems. A vibrant community of developers has made Joomla one of the best platforms on which to build your video on demand platform. The shortcode is space-sensitive, so any additional space at the end of the shortcode before the brackets can cause an error. Enter your client secret API key. Required argument id for embedded video not found. We are currently working on integrating the VdoCipher plugin with the Drupal media module. You can add dynamic watermarks to your video as well using these annotation code guidelines. We have also developed our API for use-cases with Python, Ruby, Node.js, ASP.NET and PHP. Together these backend-languages power much of the internet. Using our embed code and the API reference for the respective language, you can host your videos to deliver a truly unique experience for your clients. The utility of frameworks is in enabling developers to use boilerplate code, thereby avoiding having to repeat the same thing multiple times. Frameworks help you manage and enforce your web architecture. Using a framework also enables you to use vast a variety of libraries that are available. For Web Hosting the most popular website hosting servers are DigitalOcean, Rackspace and AWS. PHP (PHP: Hypertext Preprocessor) is one of the most popular server-side scripting languages used to build websites. The biggest utility for PHP is its ease-of-use, which has enabled blogging platforms such as WordPress, Joomla! and Drupal to emerge. The world’s largest encyclopedia – Wikipedia is also setup using PHP. Popular e-learning platform Moodle is yet another implementation of PHP. Facebook also uses PHP in its core codebase. PHP is arguably the easiest language for beginners to make a basic functional website, and for that reason retains its popularity. In our developer library you can find the embed code for integrating your VdoCipher videos to your website. Using this embed code you would need to add the video id to the embed code, and your client secret key to the API reference, and you would be ready to embed your videos directly to your website. Class VdoCipher. Create a class instance vdocipher (client_secret_key). Instance method of the VdoCipher API include vdocipher.getOTP, which passes the video ID, and receives OTP. Instance method vdocipher.getSignature returns a signature authenticating the video playback. For more information about the API reference please look up the API reference. Check out the embed code. The github reference can be found here. Hulu is a major video on demand platform built using Ruby on Rails. Other web applications built using Ruby on Rails framework are SlideShare, Github and Groupon. Ruby is one of the most popular server-side scripting language. Popular for its developer-friendly structure, Ruby can be used with the Rails framework (Ruby-on-Rails). Most popular websites using the Django framework with Python are Instagram, Pinterest, Google. The biggest video on demand platform YouTube, although originally built using PHP, now also runs on Python. You can see a sample file for integrating VdoCipher to your Python website here. You should break this file, which includes the embed code, player OTP call and API reference, according to your MVC architecture. A great and intuitive user interface goes a long way towards building and retaining your audience. Here we bring tips from observing popular video on demand platforms, that you should implement to make your VOD platform a success. 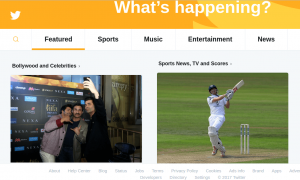 These are the home pages of Twitter and Netflix – the similarity? Both of them give a glimpse of interesting content that you find on the platform. This would improve conversion of site visitors to subscribers. Personalized Recommendations based on ratings that you give movies and your watch history. Netflix implements a Thumbs Up and Thumbs Down rating system – it aggregates user behaviour across different patterns of ratings. Using your viewership data Netflix recommends content that you are likely to watch. Easy grouping of content helps viewers decide what to watch. This includes content based on your recent watch history, and content grouped according to genres such as Action & Adventure and Romantic Films. Get your movie descriptions right – help users understand exactly what they are signing up to watch. Your users will appreciate it. Multi-Device synchronization – For viewers constrained by time, it may be possible only to consume long-form content in small chunks. By providing synchronization across devices you enable your viewers to start from the last-watched locations, and stop in the knowledge they can resume when they want to on whichever device they wish to. This is one of the most important features to get right. Your video player should be able to synchronize your last played location on the video. VdoCipher gets this right by automatically saving the pointer to the last viewed location on the video, meaning that you can easily play back videos. Get the balance between high quality and streaming on low bandwidth networks – It is important to provide a great experience for viewers with high-speed connections as well as for viewers with low-internet bandwidth. This is critical for VOD platforms in developing countries, where internet connectivity in rural areas is poor. Encoding optimizations can help viewers stream reasonably good videos even on 2G-speed internet connections. Subscription Video on Demand is definitely the most popular monetization model used by most video on demand platforms. A recurring subscription gives users access to unlimited content on the VOD platform. To target different kinds of users you can implement a tiered pricing model, wherein subscribers to the basic plan get the core content offering. Subscribers to higher payment plans can get access to additional content that supplements the core video offering. For example Netflix gives unlimited access to its complete library for its basic plan. However if you wish to watch Netflix simultaneously on multiple screens (share a subscription), you are encouraged to buy a multi-screen subscription at a higher price point. As a monetization model this is the strategy that YouTube offers. Through this YouTube can share revenue with its content creators. In this case, content creators do not have a direct relationship with the video on demand platform, and therefore advertiser Video on Demand in YouTube’s case enables revenue sharing. AVOD is the optimal strategy when you are expecting a lot of users to tune in to your website. The only caveat to basing your business model exclusively on advertising is that it is viable only when you have a large audience. Revenue from a single ad is often very low – you need to have a large enough audience to be able to generate meaningful revenue. For videos on subjects of broad interest the inherent virality of content is extremely critical. In such a case YouTube is often the ideal platform for building and connecting with their audience. If you are looking to build your website with the target of earning revenue from advertising, you should at least target million plus page views per month. You can make specific content accessible for users on payment of a fees. This is for one-time content created which you want to monetize. Most online tutorials fall into this category. You can package your videos individually, or as part of a bigger package. The difference between subscription and pay-per-view content is that users pay for access to specific content only. TVOD is ideal when you have differentiated content offerings which have value by themselves. You need to setup a payment gateway solution so that you can receive payments from across the globe. Instamojo, PayU and CCAvenue are some of the most popular payment gateways in India. Internationally PayPal and Stripe are both widely trusted payment processors. All Indian payment gateways – Instamojo, PayU and CCAvenue offer integrations with WooCommerce Platform for WordPress. By using any of the free plugins offered by these payment gateways you can get your Video on Demand platform to accept payments within minutes of setting up. The onboarding process of tying up with the Payment Gateway can take some time though. Most of the payment gateways require scanned copies of documents. Individual process for these payment gateways vary. If you opt for any of the payment gateways for your WordPress website it would be a good idea to first integrate it with your WordPress installation to make sure that the plugin is compatible with your WP themes.